If you have forgotten your password, please follow the process below to have a password reissued, and then log in. The email on resetting your password will be sent to the main address (and any sub-addresses) you registered. 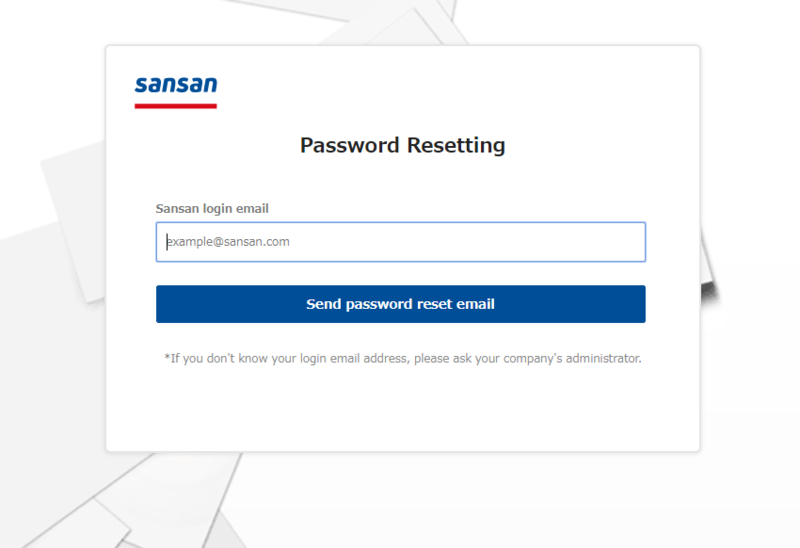 The same password will be used for Sansan for PC, the Smartphone Application, and Sansan for Mobile. * If you are using AD Integration in your company, please speak to the administrator in your company. The password must contain a combination of letters, numbers, and symbols. The password must not be something that can be easily guessed (e.g. "Password"). 1. 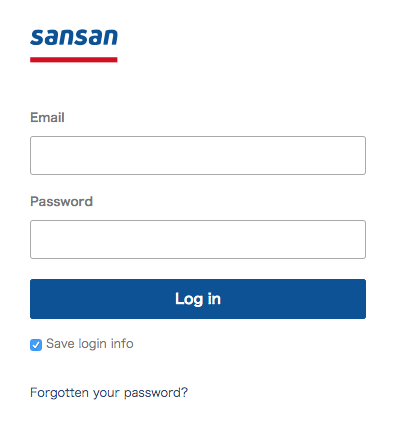 Access the log-in screen of Sansan for PC. 2. Click on "Forgotten your password?". 3. 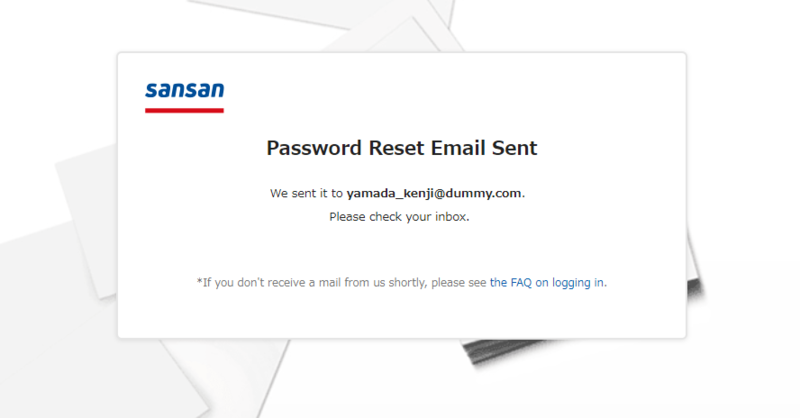 Enter the email address registered to your account (don't use a sub-address), and click "Send email for resetting password". 4. An email on resetting your password will be sent. * Even if you make a mistake inputting your email address, "A password-reset email has been sent" will still be displayed. If no email arrives, please check what you input again. 5. Follow the link in the email to reset your password and log in.